It’s a brisk 6 degrees celsius as I picked Chryssie Koussia from Chryssie’s Greece up from King’s Lynn station on the last Saturday before Christmas. But it’s sunny and I’m back in the van I lived in for 4 months last year as I travelled around Europe and we’re both looking forward to a day exploring the north Norfolk coastline from King’s Lynn up to Wells-next-the-Sea. Our first stop was Hunstanton or “Sunny Hunny” as the locals call it, only half tongue-in-cheek and as the wind lashed against our cheeks we caught the tail end of the wind-surfers, packing up after a morning’s arial stunts, somersaulting and skimming over the arctic-chilled North Sea. After a delicious catch of the day fish pie at the Lifeboat Inn in Thornham, we pointed the van towards the Burnhams. Folks out this way evidently unmoved by the convention to call each village by it’s own name, all the little hamlets in this 10 mile stretch of coastline are just called Burnham something, You just add the suffix, “Market”, “Deepdale”, “Overy Staithe” etc to delineate the one you are talking about. Burnham Market is the most famous one because Johnny Depp bought a house there a few years ago and there’s a really good hat shop, but all are pretty and pulling off the coastal road to explore the windswept marshes of the Scolt Head Island Nature Reserve that forms the sea border running parallel to these villages opens up otherworldly and tranquil landscapes and in the middle of it all, a solitary houseboat, cosy looking and remote it would have been a fantastic place to live. The light was fading fast, as it does in England at this time of year so it was time to hit the coastal road again and aim for Wells-next-the-Sea, our final destination for the day. We were treated to a beautiful, moonlit working harbour with fishermen preparing their boats for much more dangerous trips than ours, out into the blackness beyond the harbour walls. The light had come to an end and so had our road trip. It’s just a small section of the road which you can follow all the way round to Cromer and then back down to Great Yarmouth if you want to take more time. If you do, it’s worth spending a few days doing it so you can stop off plenty along the way. There are far to many places to explore. If you don’t mind the elements, this time of year means no tourists and the only slow camper van winding it’s way down the narrow country lanes was mine. I highly recommend this part of the world for landscape, travel and wildlife photographers alike. There is plenty to see, and if the clouds stay away you’ll get great light too. Everyone knows Greece is a beautiful country. We know the white stone walls of Santorini and the ancient majesty of the Parthenon. But there is so much to be discovered that lies just off the tourist trail. Messolonghi is a small town in the Etolia & Akarnania region of western Greece. Here are 3 great things to see and do when you visit. Famous for it's fisherman's houses on stilts in the lagoon called pelades, these traditional dwellings over the water and are an integral part of this ancient landscape and the working life of the people who live here. They are a photographer's dream too, looking stunning in the beautiful varied light that constantly changes the look of the lagoons. An amazing ecosystem of birds, plant life and animals, the lagoons are home to many fascinating creatures. The flamingoes, pelicans and kingfishers are all around for keen bird watchers and photographers alike, and the clean fresh air and easy pace of life are the perfect antidote to modern life. The lagoons at Messolonghi are also famous for salt production. Harvested in massive collection pools in the lagoon itself and then dried out and piled into gigantic salt mountains, these make the area look like the arctic circle, not the middle of Greece! Fantastic for photography as well as of general interest to see how salt is produced, a visit is highly recommended. Although not the best known for Oliver Oil, Messolonghi certainly produces the best quality. 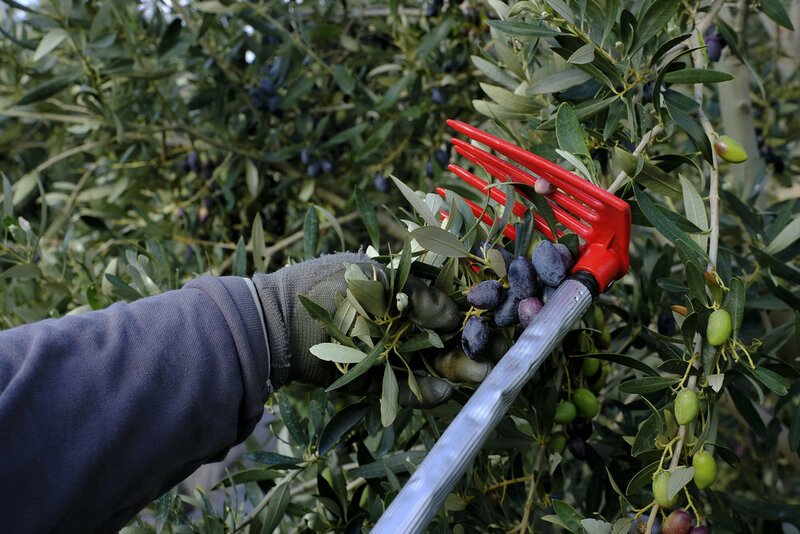 Come and see the whole production process from picking the olives to pressing them into oil. The smell of the burning olive branches filling the air is wonderful and atmospheric too, and you get to bring home some tasty olive oil as a souvenir of your trip! Forget drone photography, nothing beats the real thing! Take a light aircraft up from the local airfield with a pilot who is a 3 star general and former mayor of the town and get a birds eye view of the lagoons, the flamingoes and the ancient monuments that are scattered among the hillsides. We offer all this and more on our photography workshops. Click here to find out more. Apokria (carnival) is a heady mix of wild costumes, loud music and giddy abandonment. The name roughly translates as "without meat". It's a religious period that marks the start of lent. And the time you enter into a period of fasting and contemplation. And while that is both healthy and edifying for the soul, there's nothing quite like a big old party to get yourself in the mood and that's essentially what this time of year offers. By far then most spectacular part of carnival is "Moutzouromata the colour festival at Galaxidi. 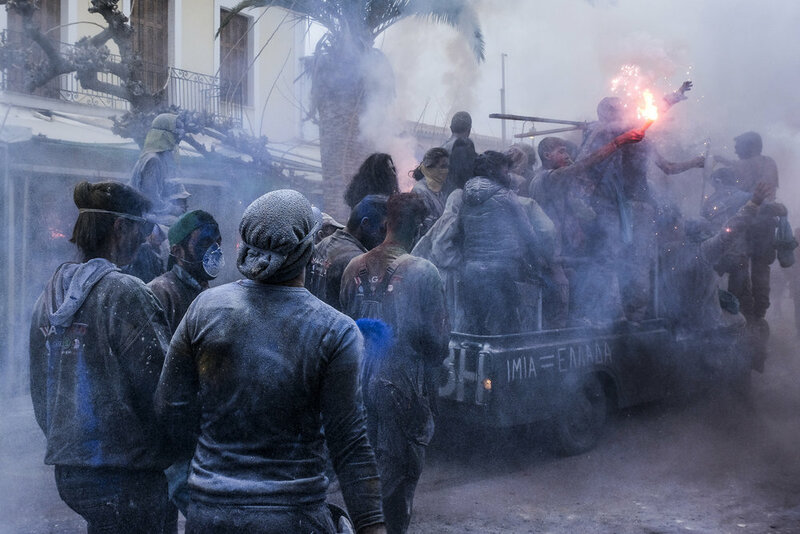 Everyone parades through the streets throwing brightly coloured flour at each other and letting off vibrant technicolour smoke bombs. Dressed in a mixture of fancy dress and overalls and with painted faces it's like doing street photography on acid, in a real life Mad Max movie set. As a place to improve your photography it is fantastic. The bright colours that fill the air and the general chaos and sense of fun make capturing compelling images fun and with a little know how, easy to learn. Not a lot of post production is needed either, beyond a bit of clarity in Lightroom to bring out the dust, and a basic curves adjustment for contrast. You might as well give up on any white balance ideas as every shot will be different, depending on what coloured flour gets (literally) thrown at you! Obviously the kids adore Moutzouromata. It's sanctioned mess-making and you get to chuck stuff at grown ups. It's a family friendly battle zone. A place to channel your inner war photographer, without the bullets. But remember to wrap you camera in plastic and wear old clothes. This stuff gets everywhere! 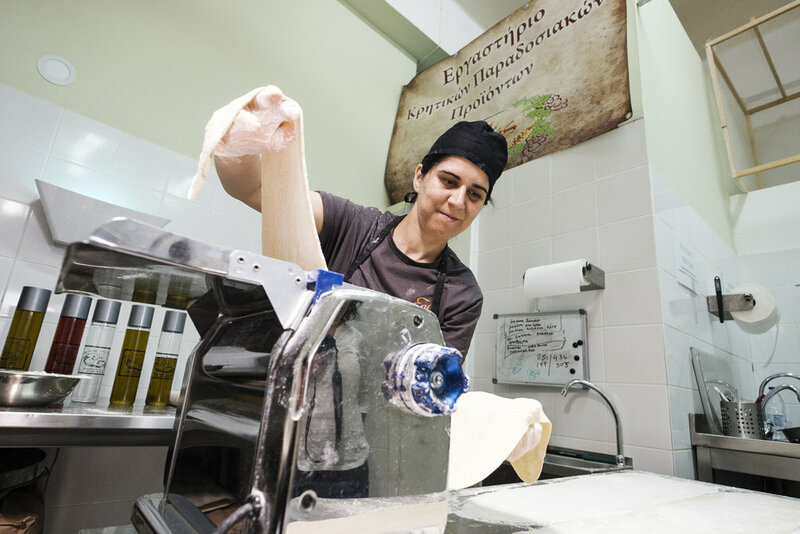 Klelia prepares traditional Greek pasta known as chilopitas in the kitchen behind the Epi Gis bakery in Chania, Crete. As part of the photography workshop on Crete we ran this May, we visited Kleila and Manolis who run Epi Gis, a small business in Chania, dedicated to making traditional food in the time honoured manner. We had access all areas and were able to get 'backstage' and into the kitchen to watch the food being prepared and hone our photo story telling skills while tacking the challenging lighting provided by the strong industrial lights. It was a lot of fun, but it got me really excited for another reason too. The state of the Greek economy is well known. The situation isn't good of course, but the couple behind Epi Gris are part of a kind of vanguard of bright, innovative young Greeks who are fusing traditional Greek values of hard work, integrity and family with entrepreneurship, and creating a plethora of new small businesses all over the country that are creating jobs and opportunities. Manolis loads freshly baked spinach pies called Kaltsounia onto the shelves. Everything is made on site from fresh local ingredients. It is this way of doing things, that not only tastes the best, but also keeps tradition alive and is far better for the local economy than buying food from a huge corporation who's profits usually end up off shore. Customer service is another key to the success of Epi Gis. This is a place where the locals stop in for a chat as well as picking up supplies and it's obvious that Manolis likes it that way. This is how communities are built and are maintained. When we stop knowing the names of our customers, or the people who serve us in the shops, then we loose a large part of what holds society together and makes it feel cohesive. It is also how Greece has always traditionally worked, and thanks to the failure of many of the big corporations after the crash, businesses like Epi Gis are able to carry this forward, hopefully for many years to come. As the sun sets over Western Greece the golden light illuminates the olive wood fires that scatter the mountain sides as the harvested branches that have yielded the olives are cut and burned. Last week I teamed up with www.chryssiesgreece.com (who I partner with to offer photography workshops in Greece) and www.discovermessolonghi.com to photograph the traditional olive oil production methods used here and discover a way of life that has remained unchanged for hundreds of years. The first step is to collect the olives from the trees. There are 3 main tools for doing this. A short stick for hitting the branches and knocking the olives into a large plastic sheet below, a longer stick for hitting the higher branches. and a rake that you run through the branches like a comb. This is nowhere near as easy as it sounds by the way. For a start you have to avoid harvesting the green olives which aren't ripe yet (they will come back for these in a week or so), you are constantly ducking under branches, climbing up into trees to get the hard to reach ones and after you have knocked all the ones you can get into the massive plastic sheet it then has to be dragged to the next tree. 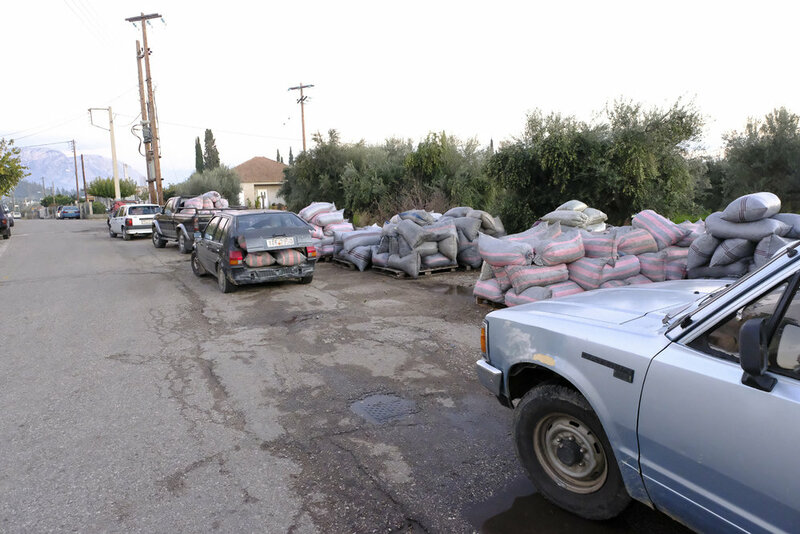 The picking crews pile onto the back of pick ups and can be seen all over the area coming to and from shifts. In an area such as western Greece with high unemployment this is welcome paid work for many and pickers travel many miles to get here including from Albania to the north. Long after the sun has set the work must continue. once the olives are picked they are bought to places like this, a family run business run by the Chalazais family of Messolonghi. 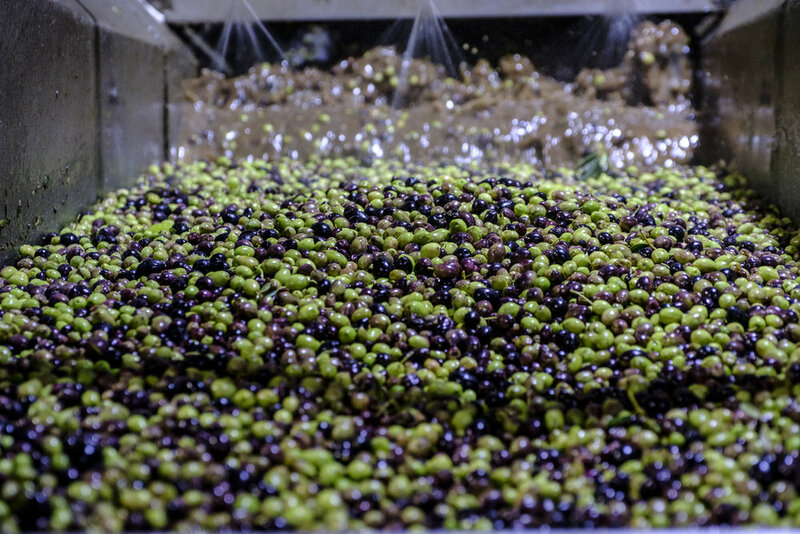 The olives are sorted on this conveyor belt and prepared for the next stage; pressing. The street outside the Antonopoulos Olive Press, another family run business is lined with pick ups, tractors and cars all filled to bursting point with the hand selected olives that will go into making the region's famous olive oil. Inside heavy machinery first pulps the olives, then presses it before the final product comes out of the pipes at the end. And yes, it does taste amazing straight from the pipe, but for best results patience is your friend. If you can wait a couple of months before using it, it will be at it's best. What you see in this photo is the faces of people who haven't slept for a week. This is Orca Town, the impromptu beach camp built by a group of young fun loving Bulgarians who spend their summers here in the beach town of Sozopol on the Black Sea. Every year, at the start of the season they rebuild this camp. And every year it gets better. There are toilet facilities, showers, a kitchen area, hammocks to sleep on and a wooden structure with tables and chairs underneath and a giant net roof that you can climb onto and chill out in with blankets, food and the ever present thump thump of the house music from the sound system. It is built with such love, care and enthusiasm. Jerry rigged together just so these 20 somethings can hang out on their favourite beach together and have a place to party. And Kris (far left) and his brother Ivan (far right) are our friends and two of the guys responsible for building this place. They are rightly proud of it. But I am getting old now. And the house music, drinking and partying that went on all night and all day, every night and every day started to wear us down after a while. On our last night there were 3 competing sound systems. The Orca Town perma-party and then two beach parties either side of us. We slept on the beach which was the furthest point from all three systems but we still felt the pounding in our chests from the gigantic stacks that rang out through the clear night air. At one point there was a dune buggy race around us and then some fireworks went off. I think this was day four or five without sleep. I lost track. But Sozopol is changing quickly. When Orca Town was first built they were nearly the only people on this stretch of beach. Now the big hotels, and tourist industry, powered in no small part by mafia money has moved in and twice now the little beach community has been told to move further up the beach to make room for bars that will make money and attract tourists. And often these tourists wonder into the camp, thinking it's another bar. This means that there have been things stolen from people's stuff. which was never the case when it was just friends on a deserted beach. The Orca Town founders are considering moving to another beach now. Or closing all together. Either way, this is nearly the end of the road for the camp and however sleep deprived I was, it was an honour to have been shown it. This is a view from Strefi Hill in Athens. Most tourists don't come up here. They're probably put off by the drug addicts and refugees who's tents in the woods below are a constant reminder that Athens is a complicated city, with complicated problems. 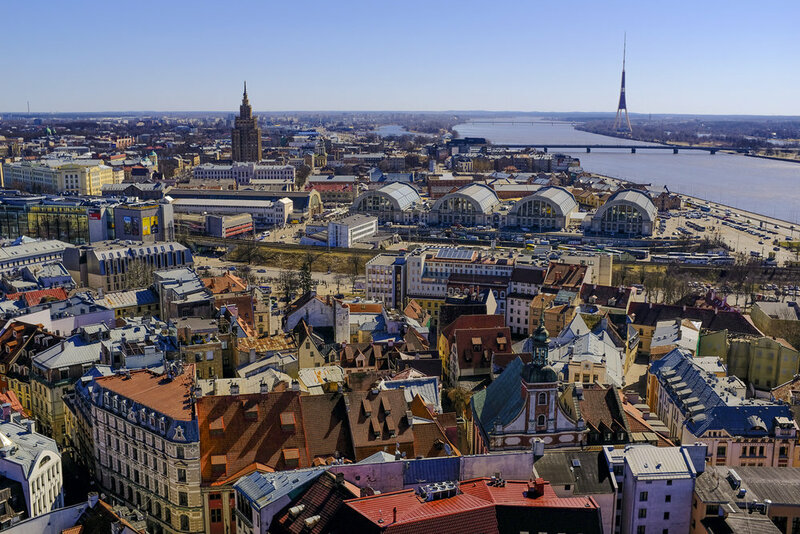 But, like most of the city it's ridiculously safe to walk around up there, and those who visit will be rewarded with spectacular 360 degree views. While you can see the Acropolis and all the way to the Piraeus and the sea, it's also worth drinking in the sprawling cityscapes of tenement buildings and rooftop terraces. This is what you see here. Shot on the tiny Canon G7X point and shoot camera. Showing once again that travel photography isn't about the gear, it's about what you point it at. This is the 2006 VW LT35 long wheelbase van that is my home and office as I travel around Europe. These are some of my experiences having spent the first 2 months on the road full time. Like most people, I love to travel. The nourishing effect of seeing new places and having new experiences is one of the most rewarding things you can do. In fact I love it so much that I bought this van which had already been converted by the previous owner into a camper van, and set off across Europe in a bid to really get under the skin of this incredible continent, hopefully understand it a little better and maybe even come away with a few photographs to boot. How am I finding the experience of living out of what is basically a builder's van? Spoiler alert, I love it. The van has been the best way to travel. I get to sleep in my own bed every night, wherever I am in the world. I get to cook food in my own kitchen, shower in my own bathroom. All the things we eventually miss when we're travelling for long periods of time. Wherever I park, I'm home. I get to spend each day exploring new places but if it's getting late and I'm feeling done for the day, I can stop by the side of the road and I'm home. No stress about finding hotels and no bags to carry. Inside I have a kitchen and bathroom and the sofa folds down into a bed. It's a mini studio flat on wheels basically. Part of the reason I went for a van like this instead of a more traditional looking camper van or motorhome is so that I can park on the street and not draw too much attention. It doesn't really look like anyone's sleeping in there, so often I can find a quiet street away from nosey neighbours even in crowded cities like Athens. I do spend a fair amount of time at campsites too. The sweet, sweet nectar of unlimited wifi and onsite laundry services is nice to take advantage of sometimes. for electricity I have a 250W solar panel on the roof that charges a 120ah leisure battery. That lasts me a full day of keeping the roof fan on, running lights, charging cameras, laptop, phone etc. The hot water and fridge are gas powered and I get my water from a variety of places. Mostly truck stops and motorway service stations, as well as campsites have somewhere you can refill. Having power in there means I can edit all my photos in the evening without worrying about the laptop battery dying, and I have a Huawei internet dongle that gives me a wifi signal in the van. It works in most European countries, although I will look at changing it because the signal is very weak. Sometimes it won't pick up a signal at all, but my phone can. There are a few basic thing that take marginally more effort than living in a house or flat - like laundry for example. You have to scout out laundrettes that are close by wherever you park up, or hand wash your clothes, and emptying out the chemical toilet takes some getting used too, although id you do it right won't smell at all. But you do have to carry a big plastic box full of, well you can guess what, and empty it into a public toilet. Word to the wise, they are heavy when full, so park as close to the toilets as you can. Essentially though this is the small price to pay for a life of unbridled freedom. I get to wake up every morning exactly where I want to be. I can head to anywhere and do anything. That is rare these days. Of course not everyone is lucky enough to have a job that they can do from the road, but if you are in that position, getting a van is a wonderful way of seeing the world and living a life of adventure. And even if you can't do this full time, I run travel photography tours so you can come and join me for a week and get some great photos and road stories too. I am currently travelling around Europe in this van. I live and work in this small space and everything I need to make images on the road has to work in this small space. These are the things I've learned so far. I'd been on the road less than a week and I pulled the brand new Fujifilm X-T2 out of my camera bag to discover in horror the screen on the back was smashed. Luckily the camera still works and I can use the EVF to review photos and change settings but it could easily have been worse. To compound the problem, I would need to send the camera back to Fuji and by the time they were ready to send it back I was going to be in another country. I wasn't sure exactly which one either! I ended up buying another body, but I did pack one of my old X-T1's just in case something like this happened. If you are making a photography specific trip then having a back up body is a very good idea. Get a second hand body that will take your lenses. It can be an entry level from a couple of years back so if it gets stolen from the hotel room it's not a disaster. Being 3 days into a photography tour without a camera - that's a disaster. Of course it should go without saying that you'll need plenty of spare batteries and memory cards too. These things will not only break, but they are easily lost and even easier to forget to charge, format etc. This is something I've got better at over time. A couple of years ago I was teaching some students on Lemnos, a small island in the Aegean on a photography tour. At the time I was still shooting with my Nikon dslr kit full time, but I'd just got a Fuji X Pro 1 and a couple of lenses to play around with. I ended up taking both to Lemnos. I had two camera bags full of gear as well as a bunch of flash gear for doing the portrait workshops. Most days I took the X Pro 1 and the 35mm 1.4. Everything else stayed in the hotel. I don't think I touched the Nikons for the entire 8 day tour. As I am living in the van, to a certain extent I have to have everything I might need with me. In the last month I have shot fashion on Lake Garda, Portraiture in Crete and documentary in Athens so my gear needs to be able to handle whatever I am going to throw at it. But most days I take the Fuji X-T2 and the 35 1.4 and that's it. By only taking one body and one lens it frees you up to experience the amazing places you are seeing, without thinking about what lens you should use next or whether to break out the flash gear. From fashion on lake Garda to documentary in Athens my gear needs to be versatile. But most days I just take one body and one lens. The first part of this trip was split into three legs. First I was heading down to the Algarve in Portugal for the closing party of a long term project I've been involved with, the second was a 2,400km drive north east to Brescia in Northern Italy to do shoot fashion shoot on Lake Garda and up in the Alps, then another massive drive through Slovenia, Croatia, Serbia, Macedonia and Greece to catch a ferry to Crete to lead a photography tour for a week on the island. All this happened within a couple of months and the upshot of all that driving was that I would often drive past amazing places at the wrong time of day, without the time to stop and wait for the best light. Now I have deliberately created some time at each place I want to photograph so that I can explore it in more detail. When you get to know people in a place, spend some time walking around it and let it get under your skin, your images will be much better for it. I spent two weeks in Chania, Crete photographing the famous lighthouse in different light. This sunrise shot was definitely the best and it was because I spent time in one location exploring the subject. Shoot less! This is also something I've got better at over time. The more time you spend engaging your brain before you get your gear out, the better. Make a few thoughtful images. These will be far better than a thousand snap shots. You won't spend hours every evening editing and backing up a million photos, and you'll enjoy the trip much more if you're not permanently glued to the viewfinder of your camera. Take the time to let the subject sink in, walk around it a while and think about how best to tell your story. Make sure you have your settings locked in and take your shot. Be a sniper, not a machine gun operator. Matt Widgery is a photographer, photography trainer and YouTuber. Originally from the UK, he now spends his time shooting and teaching around the world, living out of a van with a couple of bikes, way too many cameras, and a ukulele. His work is varied, encompassing portraiture, fashion and landscapes. Currently working on a book and exhibition he is spending six months shooting in Europe. The book will be out in 2018. Out and about in downtown Athens yesterday I climbed the white marble steps of Syntagma Square to the old palace in time to see the changing of the Evzones or Presidential Guard. Well, a minor changing of the guard anyway. The big ceremony takes place every Sunday at 11am. This was just a regular change of shift, but this meant less tourists and still see the incredible uniforms. The Evzones is the elite Presidential Guard unit of the Hellenic army. Selected for their height, superb physical conditioning and excellence of psychological state as well as morality and character. As such the Evzones have become symbols of bravery and courage for the Greek people. Each guard must stand perfectly still while on guard for 60 minutes at a time, 3 times within 48 hours. At the changing of the guard, the steps must be carried out slowly because of the lack of blood flow after an hour of perfect immobility. The uniforms are steeped in historical meaning. There are exactly 400 folds in the white shirt for example. These represent 400 years of Ottoman occupation. The town band at Penteli playing in the procession for Panigyri on Penteli mountain, Greece. After two straight weeks of Athenian traffic fumes, it was a relief to get up into the clean mountain air of Penteli for a spot of Sunday lunch with friends. Despite the forecast predicting rain it didn't happen and we ate in the garden with the cats, the turtle and the sounds of the chickens over the road announcing the eggs they were laying. Although just a short drive from Syntagma Square and the Acropolis, Penteli is quiet. Really quiet and, chickens aside, all we could here from the garden perched high above the town near the old observatory was the tannoy system from the celebrations for Panigyri. The head of the monastery at Penteli, Greece. The festival of Panigyri speaks to the heart of Greek culture. It's a saints day celebration that happens once a year for each saint. The priests come from the monastery and say prayers, lots of incense is scattered and the icon from the church is paraded in a loop around the square to the sound of a brass band. The crowds in this small town were enormous. The Panigyri at Penteli is pretty famous in these parts and thousands make the trip from Athens to follow the procession around town, say a prayer and or buy things in the enormous market that has always run along side these festivals. A member of the own band, Penteli mountain, Greece. Watching the sun set over Athenian skies I'm starting to really feel at home in this city. The road will soon start calling me onwards, westwards, to the next chapter of the adventure. But for a few more days this city is where I live and I love it! I'm still waiting for some very exciting post to arrive from the UK which contains some cool gear for me to review on the YouTube channel. And I'm having Sunday lunch with friends tomorrow, and shooting a celebration called Panigyri. I'm not entirely sure what this is, but I've been told it will be worth bringing a camera, so that sounds good to me! At any rate my Athenian adventure still has plenty of life left in it, although I am keen to get on the road and head for Messolonghi too. Stay tuned, the adventure continues..! I took the night ferry from Pireaus, Athens to Souda, Crete at 9pm on Monday 8th April. I was planning to get the Sunday night ferry, but after the two day battle royale to get into *FYROM (Macedonia) from Serbia, I had too much ground to cover so I holed up in Thessaloniki and made a leisurely trip down to Athens after lunch on Monday. Much more civilised. Still buzzing from the almost non stop blast from Brescia in Northern Italy, down to catch the ferry, I was glad I'd booked the 'luxury' accommodation on board the E. Veniselos ferry, operated by Atek. The inverted commas denote the looseness of the term when applied to the faded 1980's glory of the decor. It was a time when toothpaste green walls and bleached ash were in vogue and everything was period accurate to the time she first set sail. It was a time when toothpaste green walls and bleached ash were in vogue and everything was period accurate to the time she first set sail. Rolling off the Ferry at 7am in Souda, just 8km from Chania I found my way easily enough to town and to the only terrible breakfast I would have in two weeks on the Island. But found a great park up with an ocean view at Talos Square just to the west of the old Venetian Port, the jewel in the crown of the old town. The Cretans are famous for loving their guns. It was unclear whether these shots were meant as a comment on the Lada itself (best thing for it if you ask me), some other disagreement with the owner, or just a boozy target practice session: The village taverna was just across the street. Either way you'll be as relieved as I was to discover there was no blood on the seats so whatever went down, no-one was inside at the time. Like many in Western Europe I guess, the name Serbia for me conjured up images of Milošević and the war crimes committed by the ethnic Serbs under his control during the Yugoslav wars of the 90's. I was a little apprehensive about what I'd find there and the bullet riddled van on the motorway outside Belgrade didn't exactly dispel any prejudices. But without exception every single Serb I met was beyond lovely. They are some of the warmest and most welcoming humans I've ever met. Spending the night in Vranje a small town 25km north of the Macedonian border I met Nikola, his father and some of his mates, and Boris the Frenchman who'd been living in Serbia for a year and vowed never to return to France. All these guys I now count as friends. The aftermath of the war is still everywhere. From the absolute poverty to the abandoned crumbling buildings that there's no one left to rebuild. There's no doubt Milošević got people to do horrendous things. Just like Hitler did. But that's not what I found in this country and I can't wait to return. I seem to be getting a bit of a reputation for shooting in stupid and/or dangerous conditions. usually involving setting things on fire, or nearly drowning in various bodies of water, it was time to add a treacherous climb up Adamello in the foothills of the Italian Alps in the freshly fallen snow to the list of deathy environments to make some photos. The climb up was hard on me, but Jen did it dressed like this. She's a warrior. It was early May it was unusual to have snow still falling at that time of year. Especially since it was so warm. We sun bathed in t shirts on the dry snow. An incredible experience. But the heat was melting the snow as fast as it had fallen in places, making the ascent deadly and the climb down worse. There are not too many safe places to miss your footing up there and not much to break your fall until you landed back where the car was parked about 1500m straight down. Nevertheless, the opportunity to stand in a place like this, let alone to do a shoot here was a deathbed memory. Adamello is less than an hour from Brescia and not far from Lake Garda so next time you're in that neck of the woods it's worth a visit. Northern France in early April was cold, wet and dark. And the coldest, wettest and darkest place just so happened to be Mont St Michel the day I pulled into town. If you want an idea of the ferocity of the rain at the moment I took this shot, just turn your shower on to full blast at home and get your camera out in it. That's not far off. As my first attempt to make an image of this iconic place was ruined by the rain spots on the lens, I decided to hang around and see what the light offered up the next day. I got up for sunrise and the rain had stopped but the sky gave me nothing. A very pleasant day spent exploring the ancient citadel yielded a nice seagull shot, but this wasn't why I was here. At sunset I had a third attempt at the shot I'd come for. Earlier in the day I'd scouted out a better vantage point and as the light in the sky faded, the buildings' illuminations came on, elevating the shot. Not the best sunset in history by any stretch, but I figured I needed to start moving south after this, so I called it a day and I'm happy with the result. What do you guys think?